You may already know that it’s normal to lose about 100 hair strands each day? But if you feel that you’re losing an excessive amount of hair to your hairbrush and shower drains, there’s no need to freak out. There are many ways to stop hair loss and hair thinning. Losing 50 to 100 hair strands per day is considered normal. 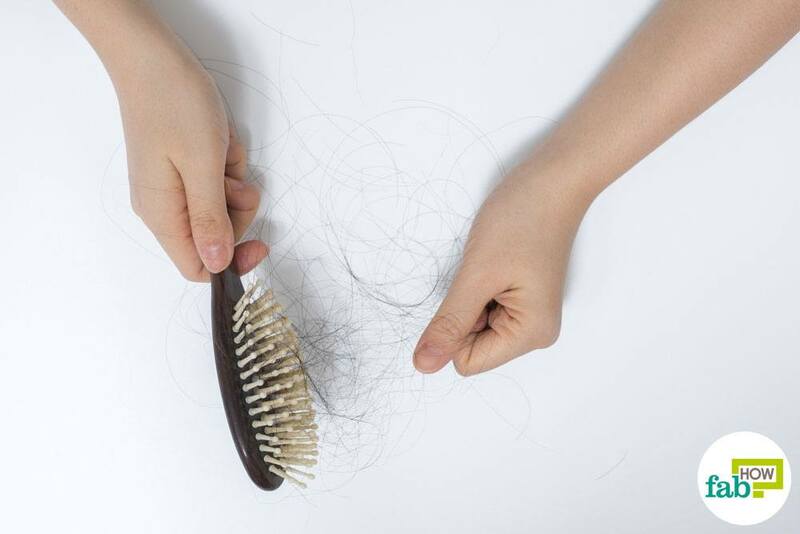 Women may even lose 150 hair strands per day. This hair loss is usually supplemented by new hair growth. Noticeable hair loss occurs when the cycle of normal hair shedding and growth is disrupted. When the hair follicles are disrupted, damaged or destroyed for various reasons, or are replaced by scar tissue, it causes chronic hair loss. Medically called alopecia, hair loss is usually characterized by a gradual thinning of hair on the top of your head. Men may experience a receding hairline, or a bald spot, while women usually retain their hairline and experience a general decrease in their volume of hair. Hair loss may also occur in patches that are generally marked by small, circular bald spots. This condition is called alopecia areata. Certain medications and procedures like chemotherapy can also cause hair loss as a side-effect. Skin conditions like ringworm residing in the scalp can cause hair loss. Scalp infections, scalp acne, and dandruff may also lead to hair loss. A poor diet or malnutrition may weaken the hair at the roots and can result in hair loss. Genetic factors may also influence hair loss patterns. If baldness runs in your family, you may be at a higher risk than others. Hormonal changes and stress may also play a role in hair loss. Aging also influences hair loss. Like most regeneration processes in the body that slow down with age, new hair growth slows down while normal hair loss keeps taking place, gradually resulting in a noticeable hair loss. Unfortunately, inherited hair loss can’t be prevented. Never stress about hair loss. Instead of getting stressed about it and possibly causing even more hair loss, determine if you’re actually experiencing significant hair loss and take measures to address the problem. Check with your doctor to see if any medications you are taking may be causing hair loss. Avoid hair styling products and instruments if you’re suffering from extreme hair loss. Say no to hair coloring, curling, perming, ironing and blow drying until the situation is under control. Avoid hairstyles that strain and damage the hair like tight ponytails and braids. Avoid twisting, pinching and pulling hair as this weakens it, making it prone to breakage. Manage your stress level to minimize stress-induced hair loss. Before you spend money on expensive hair serums or procedures, try some inexpensive, natural and effective home remedies. Barring severe cases, these tried and tested remedies often prove to be effective in controlling hair loss. Since hair growth is a gradual process, you won’t see a difference immediately. Expect noticeable results over a period of time with the regular application of chosen remedies. 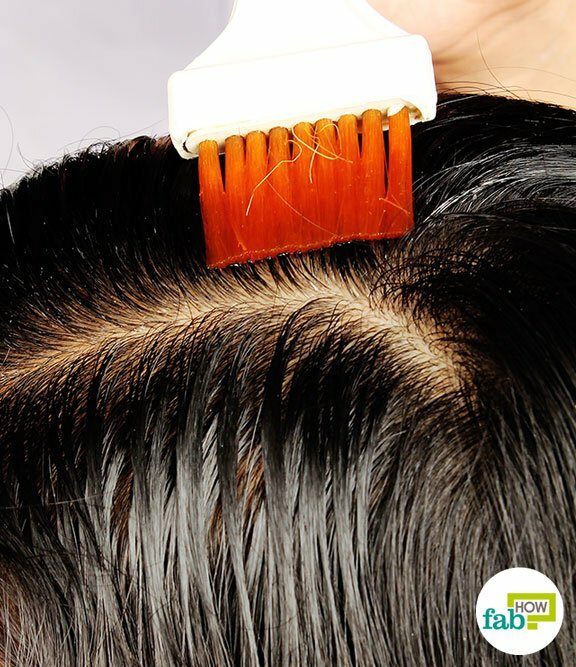 Stop hair loss and give your hair a new lease on life with these simple home remedies. Here are 5+ methods with results pictured. Hot oil massage is one of the most widely used and effective means of tackling hair loss. 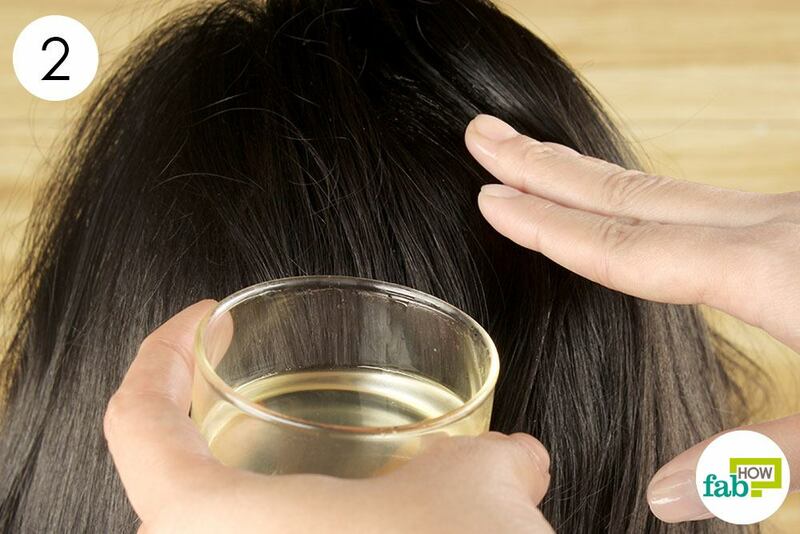 A gentle massage with a hot oil blend promotes blood circulation in the scalp. This is vital for supplying hair follicles with necessary nutrients to produce healthy hair. The oil used also provides natural nourishment that helps growth mechanisms to kick in, preventing further hair loss. Coconut, olive and castor oil are some of the oils that are good for hair health and can be used in a hot oil massage. Coconut oil is considered the panacea for long and lush locks. It nourishes and strengthens the hair from the roots and keeps problems like dandruff and scalp infections at bay. 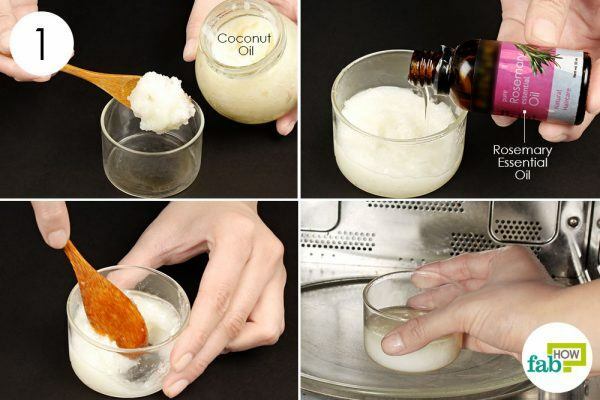 Besides a hot oil massage, there are many ways to use coconut oil to get beautiful hair. Rosemary essential oil will help increase cellular metabolism and dilate blood vessels in the scalp, which stimulates the hair follicles to produce new hair growth. 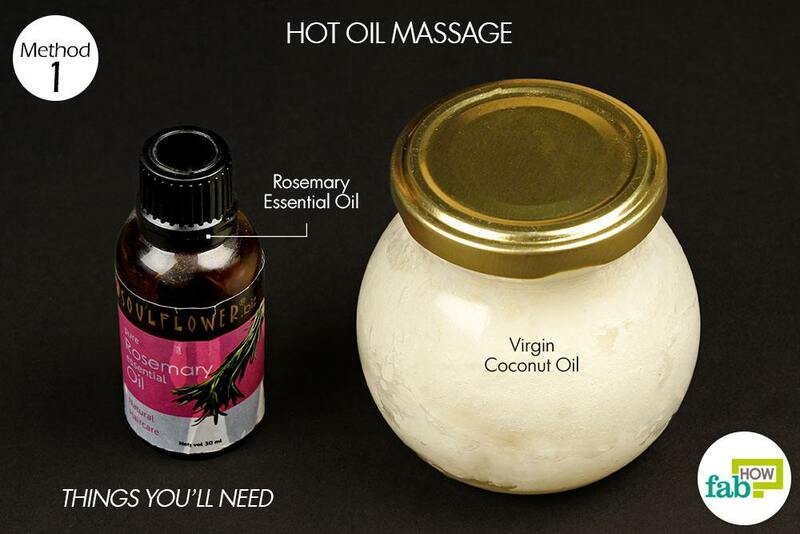 Put coconut oil and a few drops of rosemary essential oil in a bowl. Heat it in a microwave for 10 to 15 seconds. 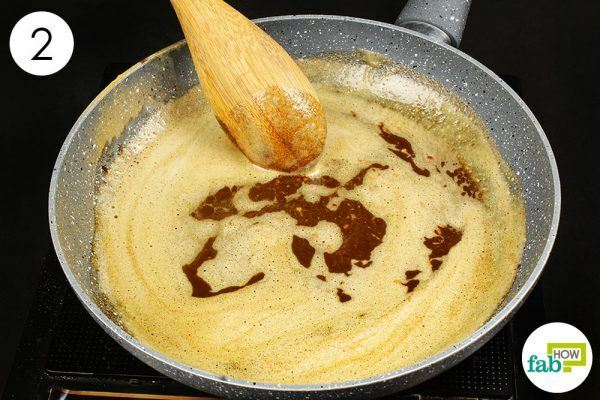 You only want the oil to warm slightly, as overheating it will destroy its goodness and can also give you accidental burns. 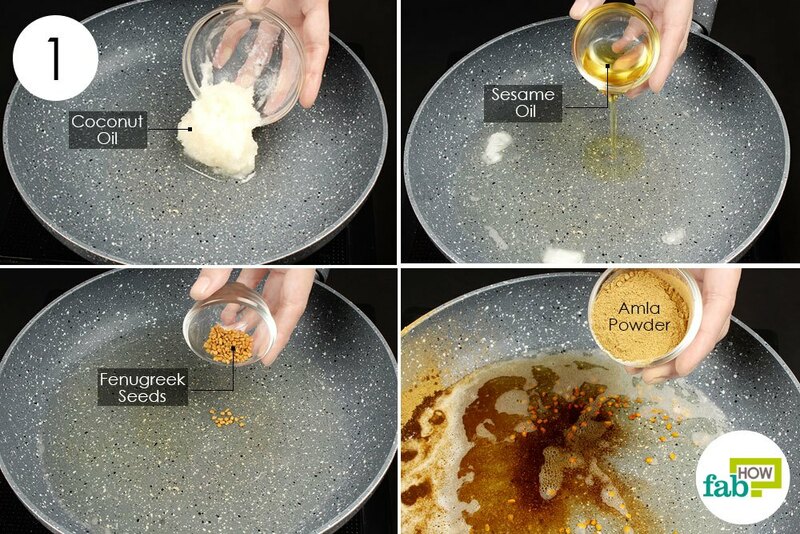 Remove the bowl from the microwave and give it a stir mixing the oils thoroughly. Massage your scalp with the hot oil blend, using gentle pressure to stimulate the hair follicles. Let the oil work in overnight and shampoo your hair the next morning. If your scalp is oily or you’re prone to scalp acne, do not leave the oil on overnight. Instead, wrap your oiled head in a hot towel for 1 hour before shampooing. Repeat this procedure once or twice a week for a few months to stop hair loss. Hair loss is often triggered due to the absence of high sulfur proteins that play a prominent role in the chemistry of hair. Sulfur has a crucial role in keeping a hair strand intact to the root. With respect to the chemical structure, sulfur also helps to provide sturdiness and resilience to the hair strands. If you’re suffering from hair loss at the roots or excessively brittle hair, onion juice will really make a difference for the better. Onions provide rich sulfur content that can supplement the deficiency in your hair from the outside in. 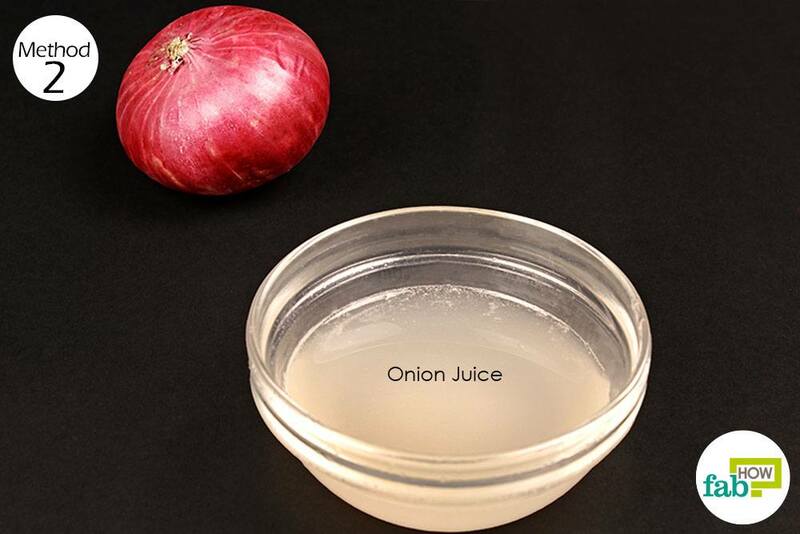 Onion juice is also the perfect remedy if your hair loss stems from an unhealthy scalp. The strong antibacterial and antifungal properties of sulfur can treat scalp infections, dandruff and even get rid of lice. Plus, onion juice conditions your hair. For best results, use freshly extracted juice. Extract fresh juice from onion and lightly massage it onto your scalp. Leave it on for 30 minutes before shampooing your hair. To get the onion smell out completely, use warm water with lemon juice mixed in to rinse your hair. Repeat this remedy twice a week to reduce hair loss. Known primarily for its probiotics in health circles, apple cider vinegar (ACV) can help keep your scalp healthy and free from infections. 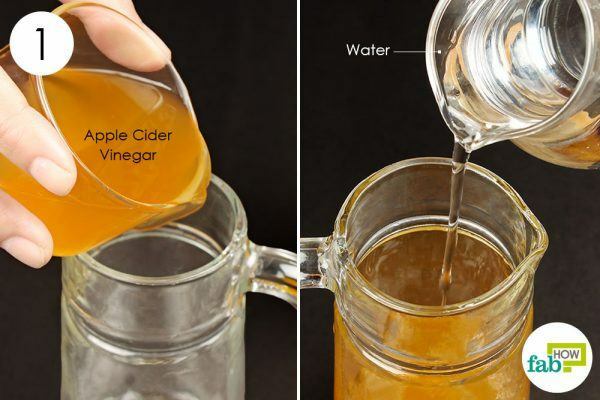 So if your hair loss is triggered by dandruff or a scalp infection, an apple cider vinegar rinse is worth trying. Apple cider vinegar restores a normal pH balance of the scalp, which is often disrupted by the use of numerous hair products. It is also effective in removing product buildup, allowing the scalp to breathe and more readily absorb whatever other hair loss treatment you may apply. Apple cider vinegar also stimulates blood circulation in the scalp, promoting blood flow to hair follicles. This provides the hair better nourishment, making it less brittle and stronger at the roots. Pour 1 part of apple cider vinegar into a cup. Add 2 parts of water to it. Shampoo and rinse your hair as usual. 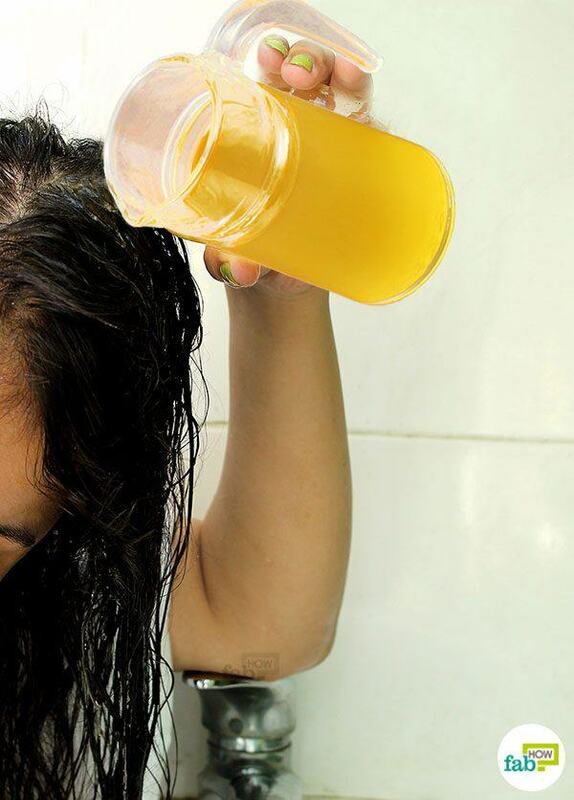 Give your scalp and the entire length of your hair a rinse with the diluted apple cider vinegar. Leave it on for about 2 minutes before rinsing it out with plain water. Indian gooseberry, also known as amla, is one of best natural hair care products. With regular use, it prevents extreme hair loss. It also acts as an excellent conditioner, protects the scalp from infections and dandruff as well as prevents premature graying. The presence of vitamin A in amla boosts collagen production, making the scalp more elastic. Its abundant vitamin C content invigorates hair follicles to stimulate new hair growth. It’s also rich in antioxidants and can prevent hair loss that results from free-radical damage. You can consume Indian gooseberry or apply it topically to benefit your hair. The best thing about this fruit is that its nutritional value, especially vitamin C that is not destroyed on exposure to high temperatures. The recipe below uses coconut oil as a base. Any organic coconut oil will do, but don’t use virgin coconut oil, as it breaks down at high temperatures. Sesame oil is considered very remarkable for hair growth, owing to its healing and nourishing properties. Fenugreek can strengthen your hair and give it a glossy look. Put ¼ cup of coconut oil into a pan placed over low heat and let it melt. Add 2 teaspoons of sesame oil to the pan. Add 1 teaspoon of fenugreek seeds to it. Add in 1½ tablespoons of amla powder as well. Cook the mixture for about 20 minutes, stirring continuously to avoid burning it. 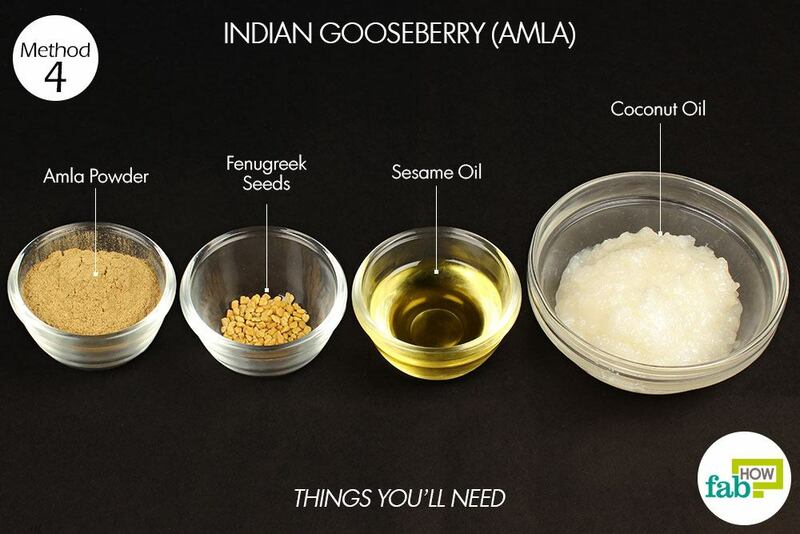 Consider it done when the amla powder becomes dark brown and its aroma fills the surroundings. And remove from heat. 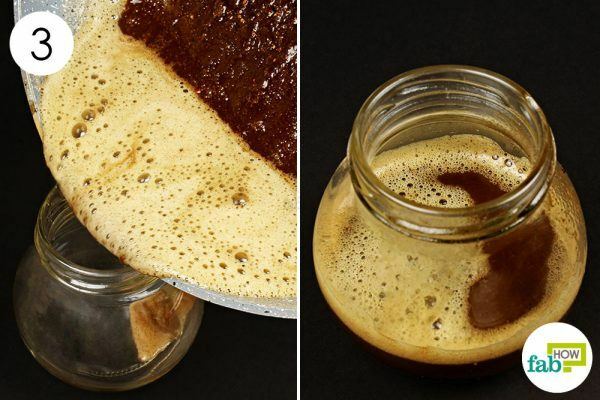 Let the oil mixture cool down before transferring it to a jar. Choose a wide-mouth jar to store this oil blend for ease of use, as it may solidify due to the coconut oil in it. Include this oil in your hair care regimen for a significant decline in hair loss. For best results, use it as a hot oil massage once or twice a week. 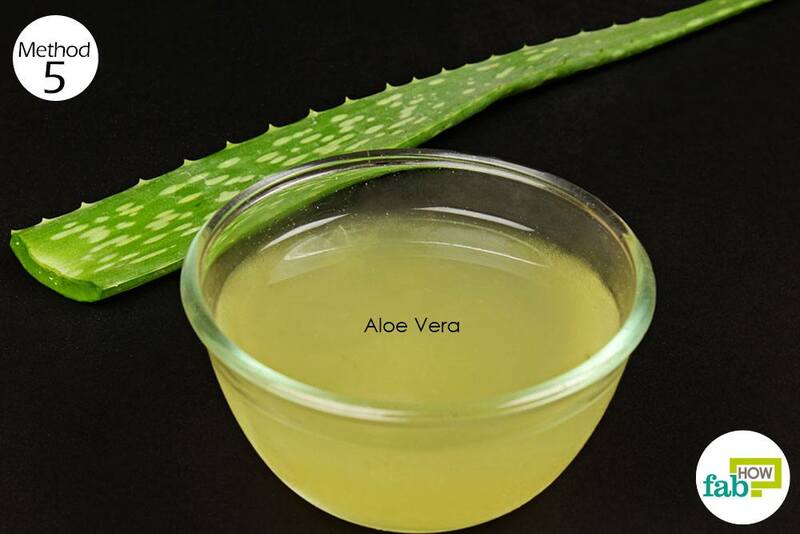 Aloe vera extract is an active ingredient in many hair care products. The gel of aloe vera is a natural conditioner that hydrates and nourishes the hair, making it stronger and less prone to breakage and hair loss. The gel also helps restore the pH balance of the scalp and promotes improved blood circulation. The enzymes present in aloe vera help regenerate the skin cells of the scalp, keeping it healthy. 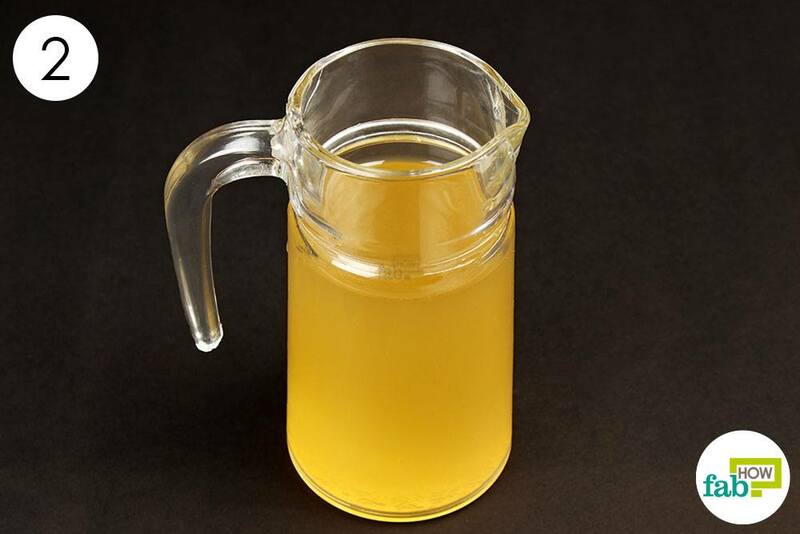 Being antiseptic and anti-inflammatory, it effectively treats scalp infections. Aloe vera also contains amino acids, folic acid, and vitamins A and C that nourish your hair. 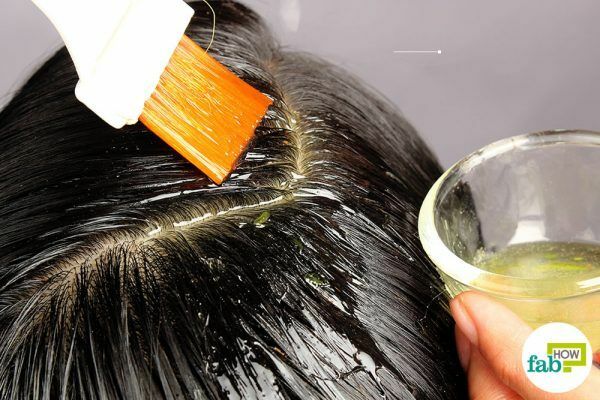 Using aloe vera to prevent hair loss is extremely easy. Apply fresh aloe vera gel to the scalp. Lightly massage it into the roots and spread it down the entire length of your hair. Wrap your head with a hot towel and shampoo as usual 1 hour later. You can also leave it on overnight and wash it off the next morning. Just cover your head with a shower cap before you go to bed. Repeat this process 2 or 3 times a week for significant improvement in the volume of your hair. Extreme hair loss can also result from an inadequate diet. You can prevent hair loss and promote hair growth by making some adjustments to your diet. Dietary changes along with lifestyle improvements can really contribute to healthy hair growth. Eat foods high in zinc like pumpkin seeds. Roasted pumpkin seeds not only make for a tasty snack but can also help prevent hair loss in the long run. 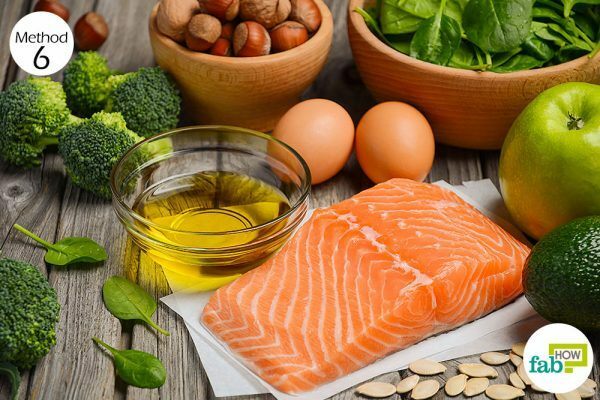 Fish like salmon are rich in omega-3 fats support hair growth and help increase the volume of your hair. Consume flaxseeds daily, as they are beneficial for preventing hair loss due to the presence of dietary fiber, omega-3 fats, and essential vitamins, especially vitamin E. Chia and hemp seeds are also considered beneficial. Include green tea in your diet. The antioxidants present in it will help prevent free-radical damage that may be causing excessive hair loss. Besides preventing loss of hair, green tea also provides numerous other health benefits. Include bone broth in your diet. You can make it a part of soups, stews, and sauces. You can even cook your pasta or rice in it. Bone broth is chock-full with collagen as well as proteins and minerals that help prevent hair loss and encourage healthy hair growth. Avoid highly processed foods to prevent hair loss. Foods high in trans-fats or sugar should usually be avoided for overall good health. High caffeine and alcohol intake also contributes to excessive hair loss, so cut back or eliminate them from your diet if you’re suffering from excessive hair loss. You can add rosemary essential oil to your shampoo and conditioner to help keep your hair healthy. Add 2 to 4 drops of rosemary oil to an 8-ounce shampoo bottle. Some medications like aspirin (or other NSAID)s can make you sensitive to onions, even as a topical treatment. You can combine fresh aloe vera gel with fresh onion juice for a topical scalp application. Lavender oil can be used as a substitute for sesame oil in preparing the amla oil. Some essential oils that can be used to strengthen hair and make it less prone to breakage include sage, peppermint, tea tree, carrot seed, and onion seed oil. You can also use a blend of these essential oils to suit your preference. I would really love to be able to do a blowout on myself my hair is super curly and the only way for me to straighten it it’s with a Chi straightener. I went to the salon the other day and the girl there did a blowout which was I brushed and blow dryer and it looked amazing I was wondering if you can give me some information on how to do it myself? Thank You for your comment. If you’re looking for ways to straighten your hair at home, we definitely have some useful information for you. Please refer to https://www.fabhow.com/straighten-your-hair-with-or-without-heat.html. Firstly, hair fall is a very common problem faced by many of us. Though it is said that up to 50-100 strands falling of your head is quite normal. 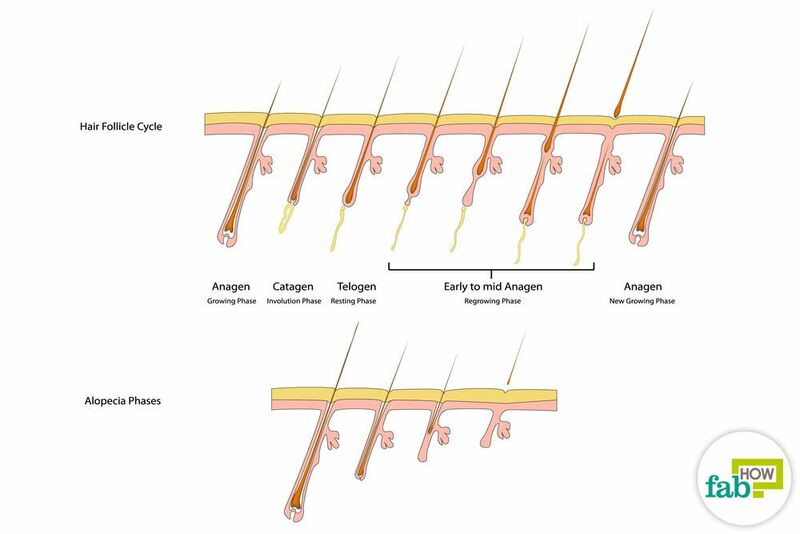 Secondly, hair falling from the root in a controlled quantity is a natural process of regeneration of hair. 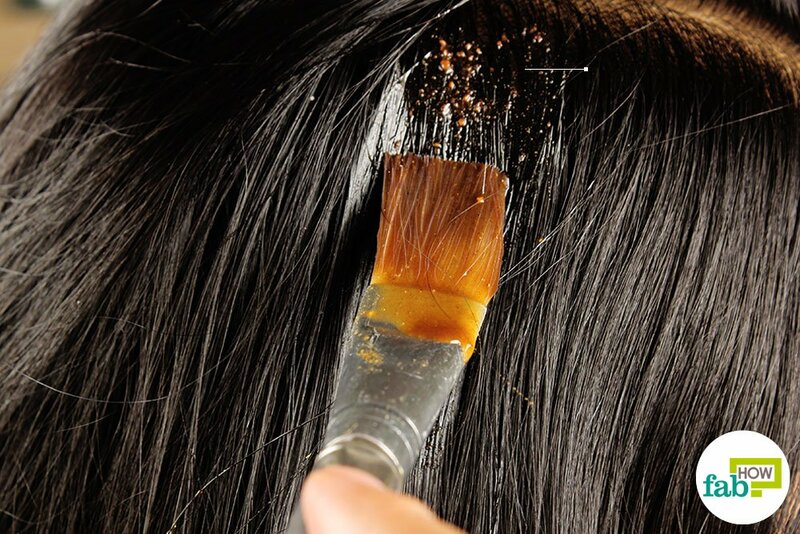 Hair breakage on the other hand is a sign of dry damaged hair. It may be due to poor hair care, too much use of heat and chemical products on hair , stress or poor diet. However in your case, if the hair fall is excessive, we request you to try hot oil massage and other above stated remedies for best results. If you observe no change in your condition after prolonged use, please make sure you are having a balanced and healthy diet. Do get your hemoglobin checked, as low hemoglobin levels also result in a lot of extra hair fall. Thirdly, weather changes also effect your hair cycle. We hope we were able to resolve your query.